Tristen is 11 years old and goes to Endeavor elementary school. He enjoys sports and plays baseball and is always up to try new adventures. This year he is trying out for the junior Olympics as well as going to play football. 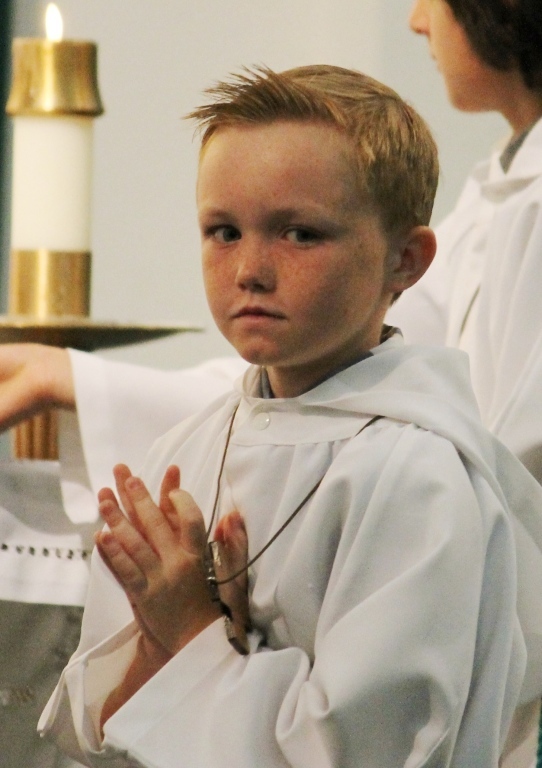 Tristen loves helping others and before his First Communion he wanted to become an altar server. Tristen has been an altar server for 3 years now and never hesitates when asked to serve. When Tristen is older his goal is training dogs for law enforcement, military and fire departments. Tristen is kind, humble and has no problem helping others when needed. His plan is to attend Notre Dame for college and is sure to follow through with his aspirations. Please acknowledge Tristen for the gifts he brings all he does for the love of the Lord.